The small-format advertising poster of the Trossing company Ch. Weiss (27.5 x 19 cm) gets momentum and elegance from the dancers in the foreground. The "Württembergische Harmonikafabriken Ch. 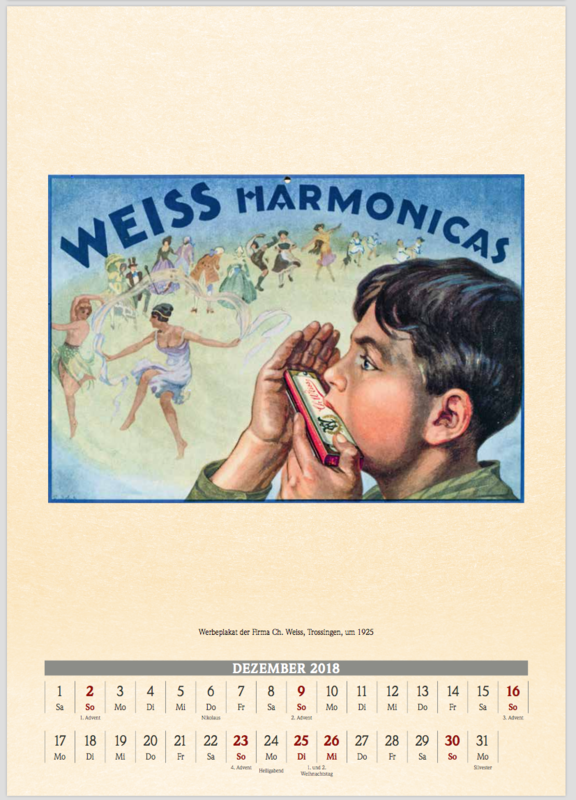 Weiss" founded in 1855 belonged to the big three of the industry in Württemberg, but behind Hohner and Koch by a considerable margin. In early 1928, the company Weiss went under the roof of the market leader Matth. Hohner AG. This led Harmonicas of the brand Weiss until the 1960s in the offer.